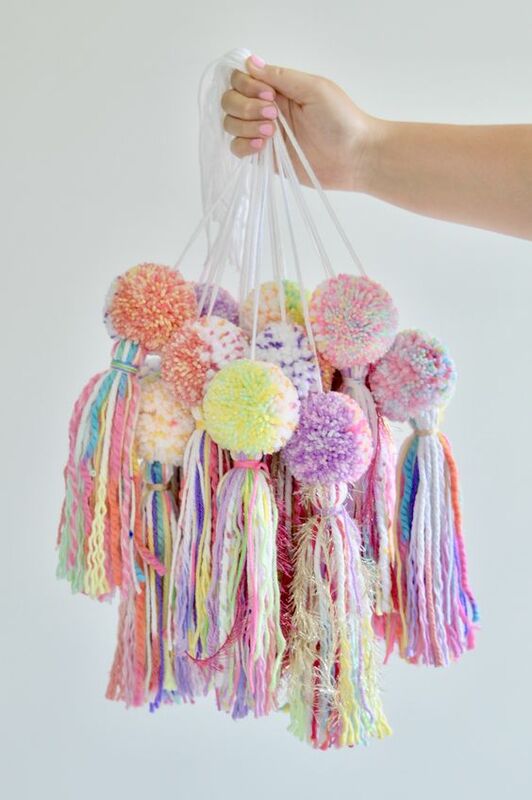 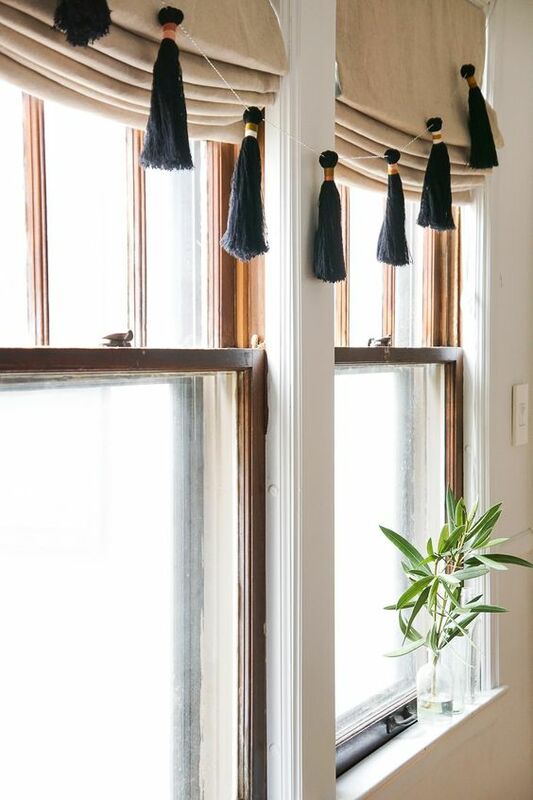 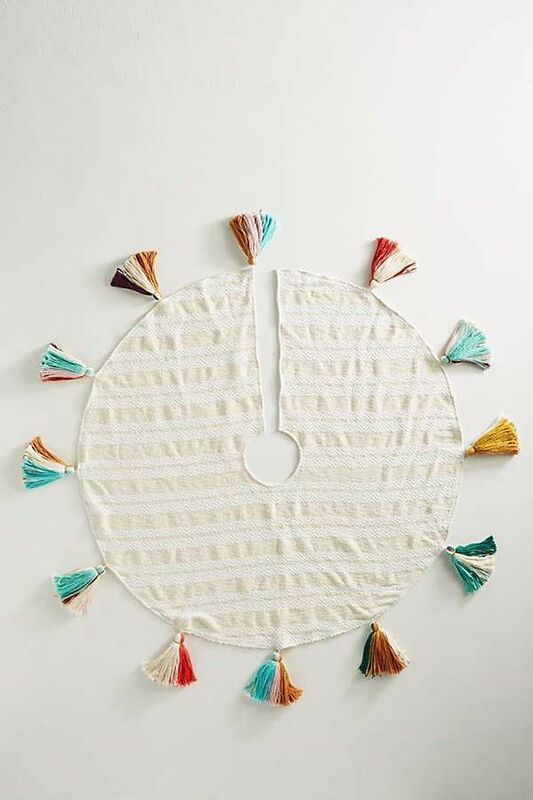 Tassels and pompoms are super cool for decorating: you may easily make them yourself varying sizes, colors and without spending much money. 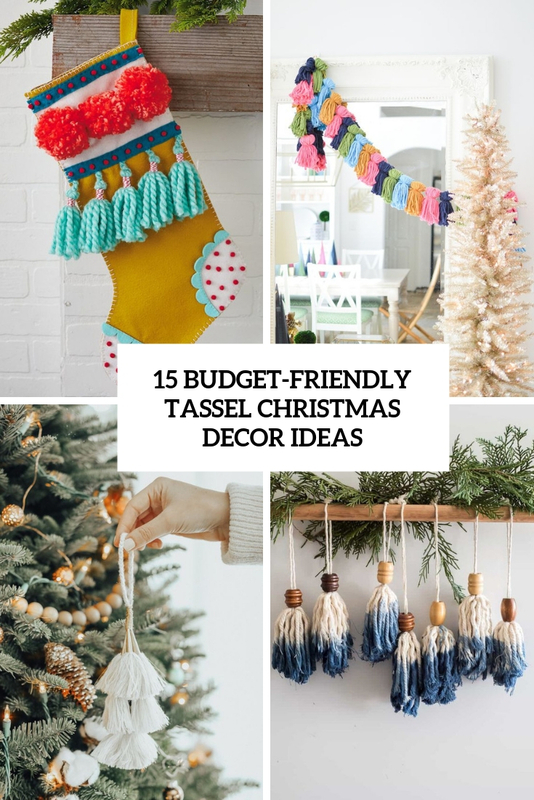 We’ve spoken a lot about pompoms and today here are some ideas to use tassels for holiday decor. 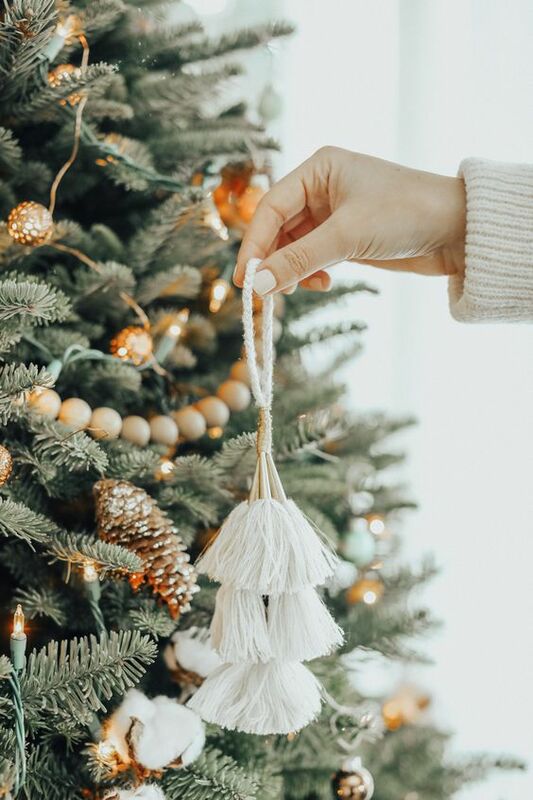 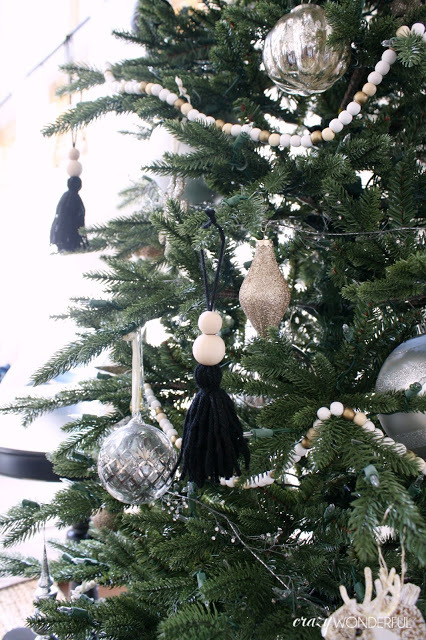 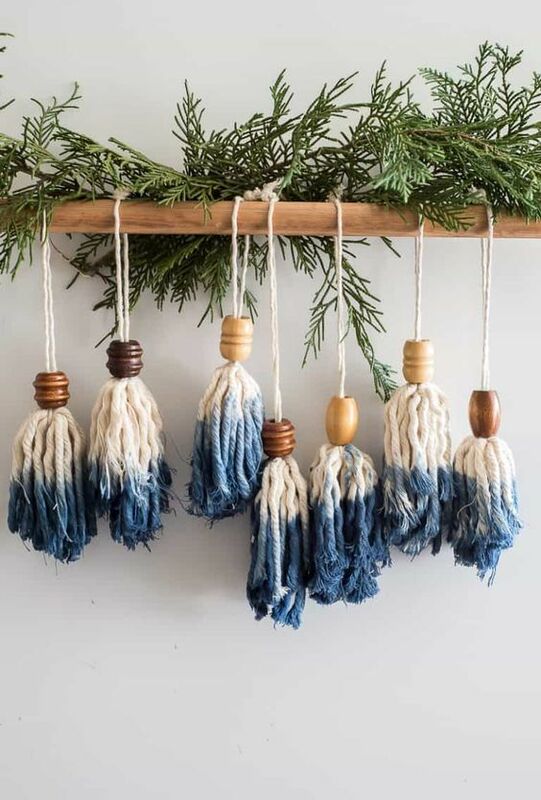 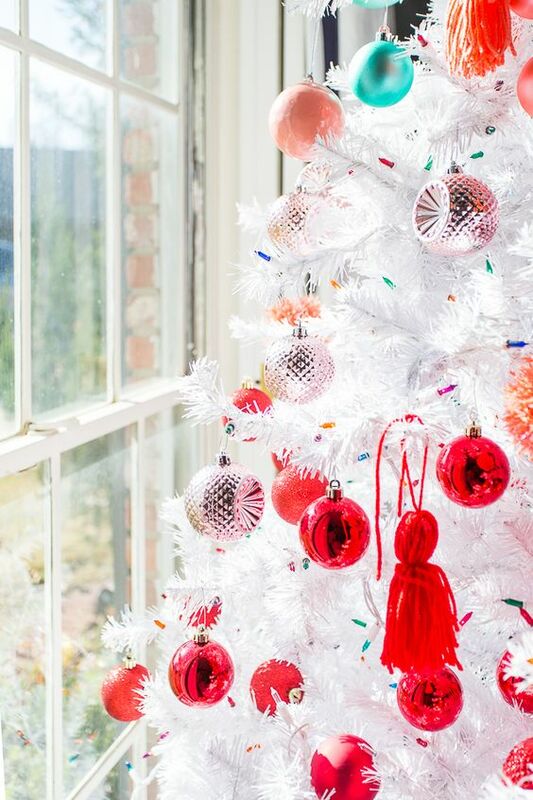 Tassels are great ready ornaments – just make some of the colors and sizes you want and hang to your tree, they will instantly make it more boho, which is very popular. 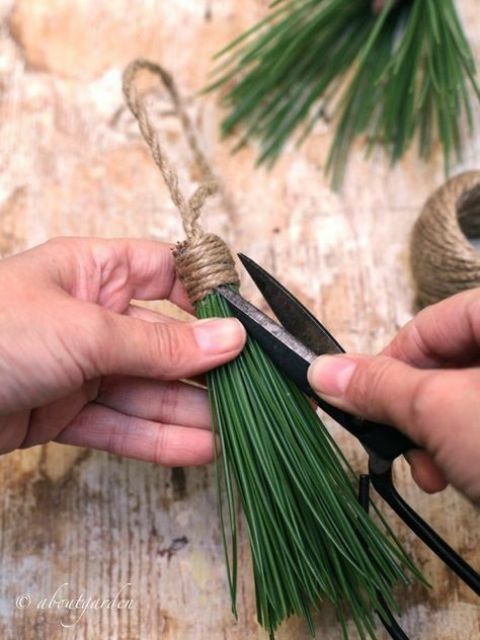 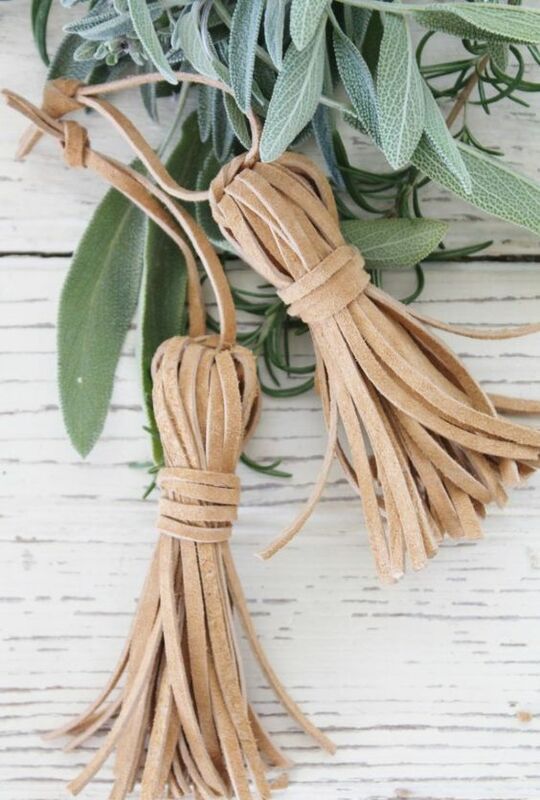 Try to make pine needle and leather tassels, they will look very catchy and will still scream boho. 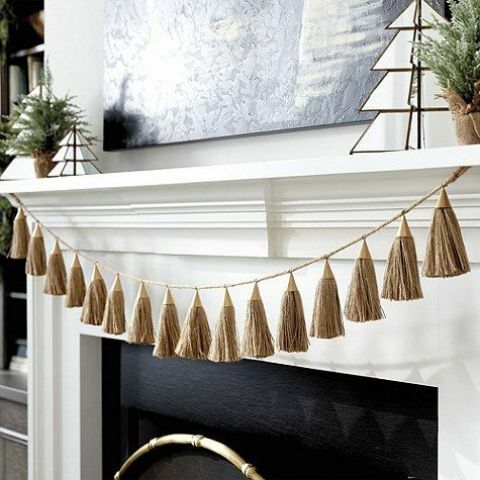 Make some tassels and go for a cool colorful garland with them. 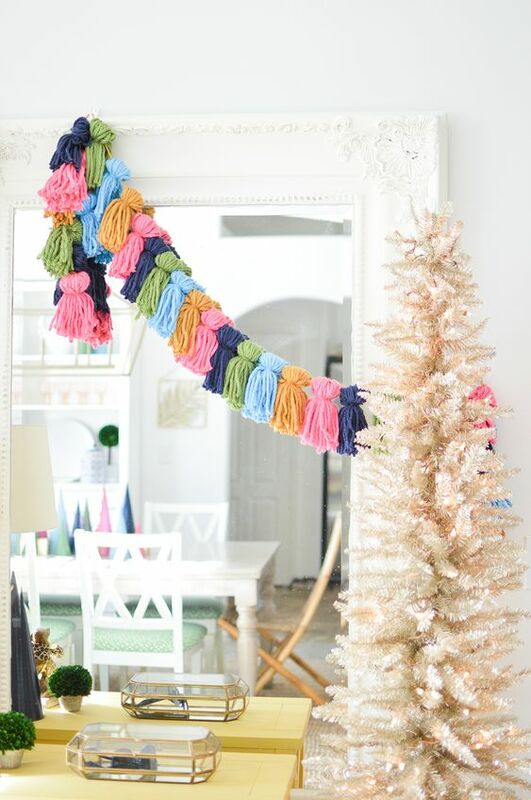 it may be a fun garland of both pompoms and tassels, so that you could add even more fluff to the space. 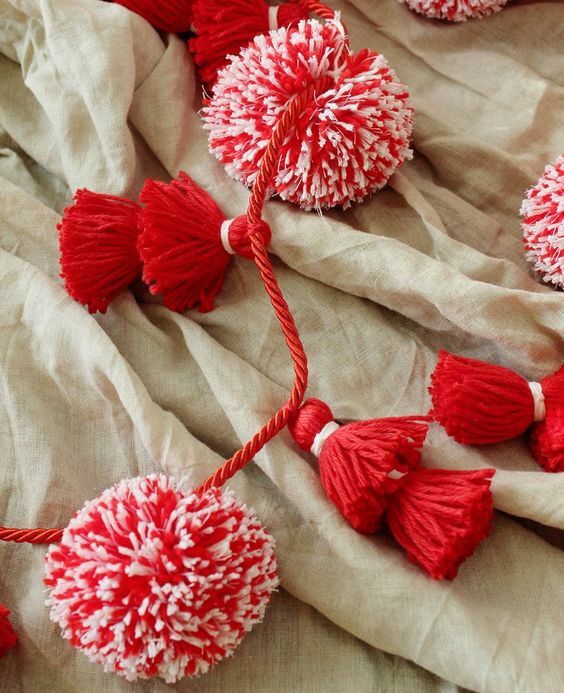 Add wooden beads to the tassels and dip them in some bright shades if you feel like it. 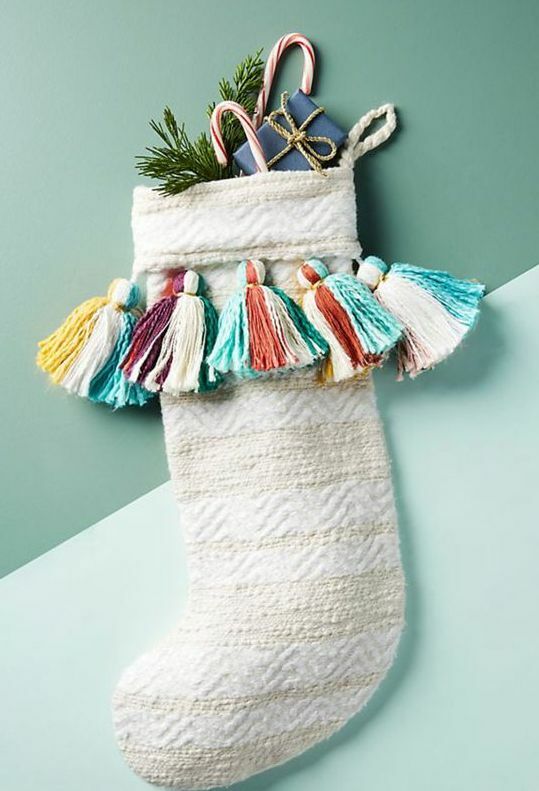 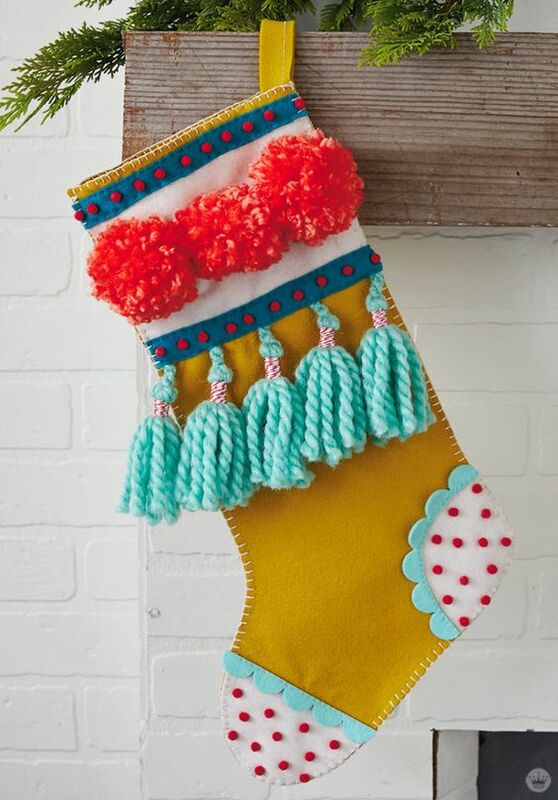 Decorate your stockings with pompoms and tassels – even the plainest stocking will be super cool with such decor! 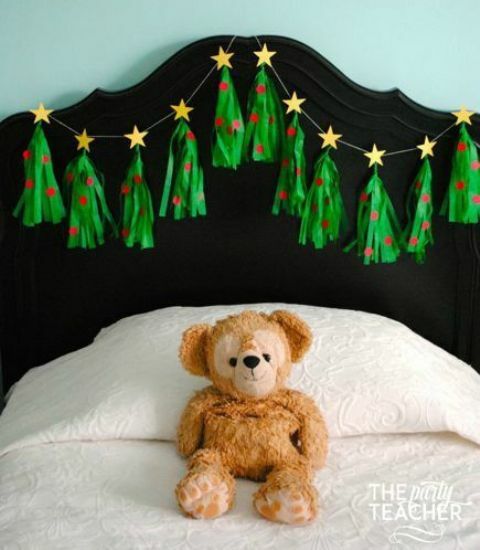 Make a tree skirt decorating it with tassels to add a cute touch, it’s a great and fast to realize idea.